Not even an epic aftershock could deter Bodega Norton from celebrating its 120th anniversary last Wednesday — though the party obviously started a little later than planned. 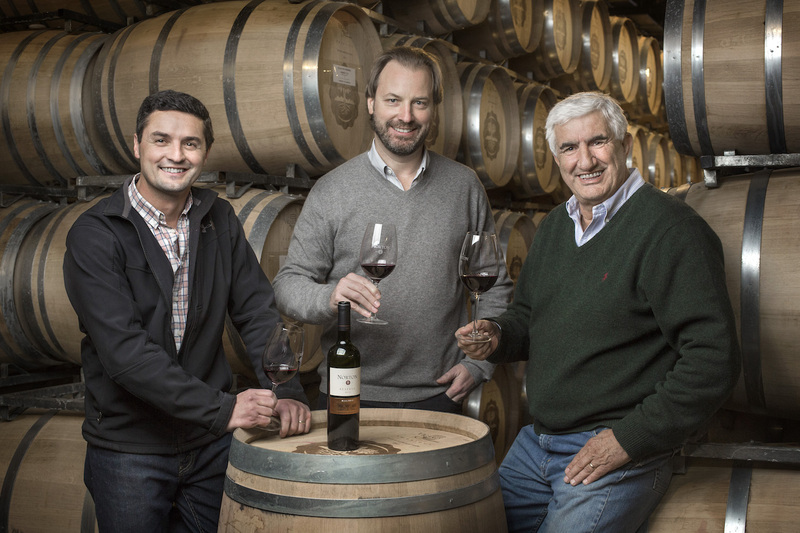 David Bonomi, Michael Halstrick and Jorge Riccitelli from Bodega Norton. Headed by oenologist Jorge Riccitelli (far right) — named one of the world’s 30 best winemakers by prestigious Decanter magazine earlier this year — a day in the winery’s Perdriel vineyards was followed up by a sumptuous dinner, where Jorge and Austrian chief executive Michael Halstrick (centre) cracked open vintages dating back to 1944. Catch the full report on October 3.